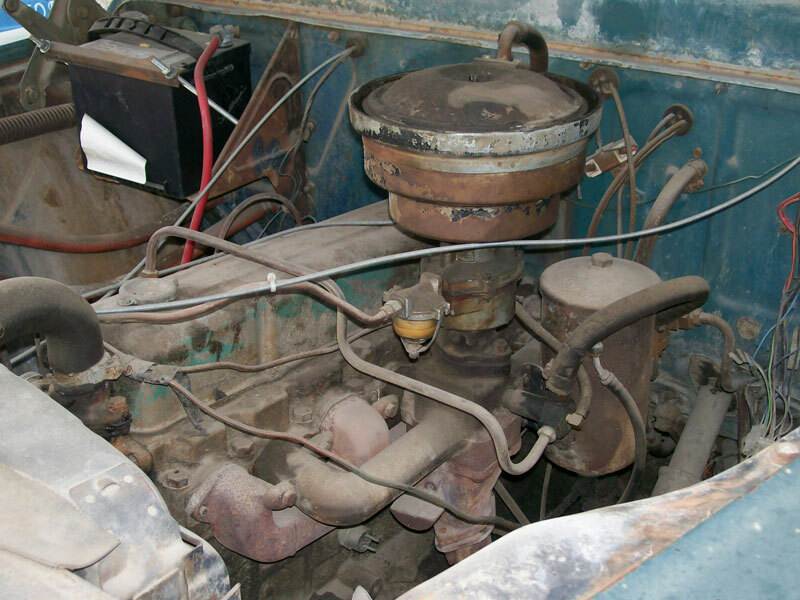 This dark green 1959 Chevrolet 60 Viking 2 1/2 ton stake hoist box bed is a mostly complete classic farm truck ready to be restored or customized. 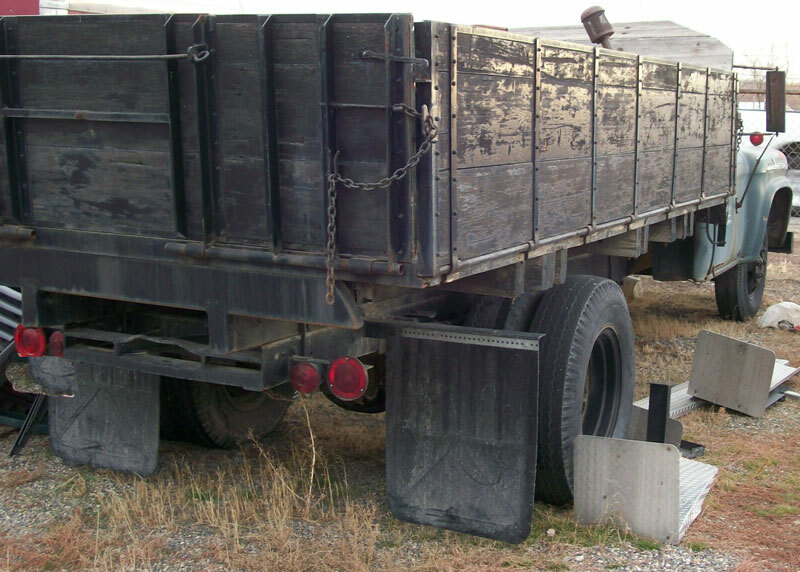 The truck has a hoist stake bed box with folding sides and tail gate. There are dents in the front of the left fender and near the right headlight. There is rust in the bottoms of both doors and back of the right rocker. The chrome side trim is dented. There are bolt holes in the left door. The left front top of the cab is dented. The gray interior is all there except a couple dash controls are missing and the ash tray and radio are gone. The gauges are all there. The floor is solid. The 235 CID OHV inline 135 HP motor, four speed transmission and two speed differential are all there. The truck has a mechanical PTO and the hoist box works. The running and driving condition is unknown. 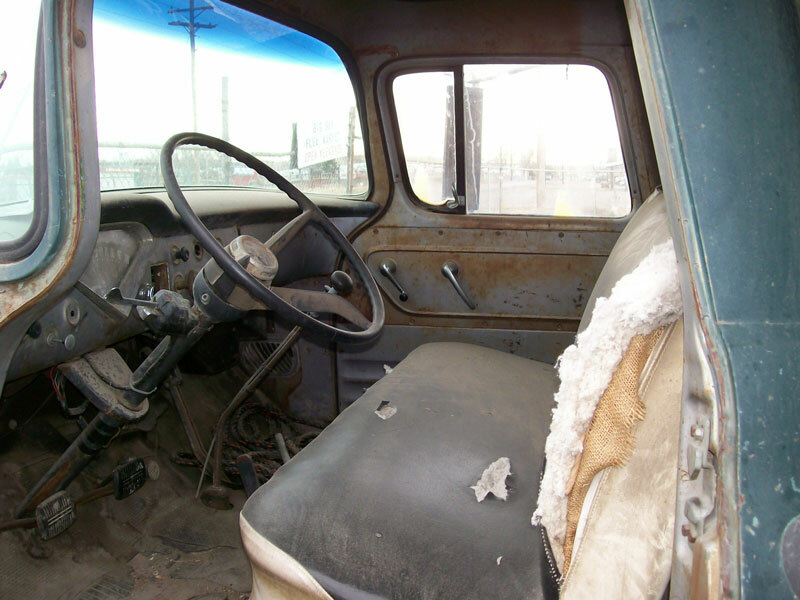 Here is your chance to restore or customize a scarce 59 Chevy Viking 60 commercial truck. 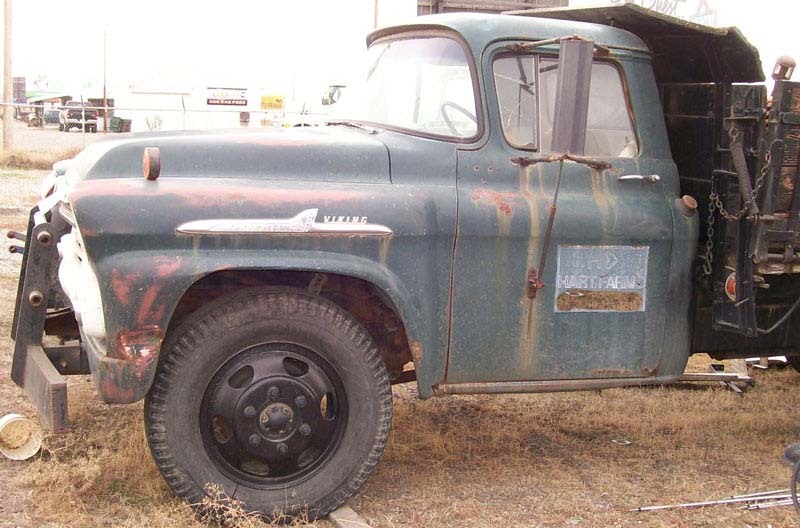 Please call (406) 318-0270 for details about this restorable classic 1959 Chevrolet project truck. For sale $2,200.